(Natural News) The deep blue state of New York has just passed an atrocious bill, which will legalize late-term abortions in the name of the mother’s “health.” The piece of legislation, known as the Reproductive Health Act (RHA), will cement the “right” to murder the unborn — even when they’re just days away from birth. While NY Democrats are celebrating the advancement of their disturbing agenda, many Americans are rightfully concerned about the karmic repercussions of killing babies. There is nothing on Earth more valuable than life itself. But the globalist agenda is seeking to change that — and legalizing the killing of babies before they’re born is just the first step. The goal here is not just to make abortion legal, its to make abortion morally acceptable. RHA has been passed by NY Democrats and signed into law by Governor Andrew Cuomo — and millions of people around the country are outraged by this bit of legislation. What “health” means or includes is not defined by the legislation, leaving it open to interpretation. Life News reports that this “health” loophole is so large, women will likely be able to abort babies late-term for economic, social or emotional reasons, if they so choose. Twenty-four weeks is largely recognized as the “age of viability,” as infants have a reasonably good chance at surviving outside the womb. At 24 weeks, the chances of survival are expected to be above 50 percent. Just three weeks later, at 27 weeks, survival rates go up to 95 percent. A large majority of people disagree with late-term abortions for this very reason, including many pro-choice advocates. According to a national poll conducted by Marist University, three in four Americans (75 percent) say abortion should be limited to – at most – the first three months of pregnancy. This includes most of those who identify as Republicans (92 percent), Independents (78 percent) and a majority of Democrats (60 percent). It also includes more than six in 10 (61 percent) who identify as “pro-choice” on abortion. Gallup polling data collected in 2018 supports the findings from Marist. As sources note, a May 2018 poll from Gallup found that 53 percent of Americans opposed most or all abortions. While Democrats like to portray themselves as being representative of a progressive majority, it appears reality is at odds with liberal delusions once again. 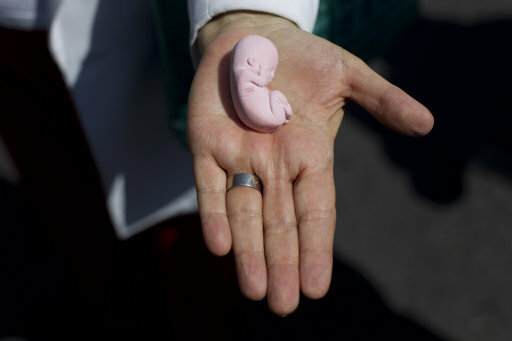 There is an increasing amount of skepticism surrounding the pro-abortion movement. While leftists claim that their cause is rooted in freeing women from an oppressive patriarchy, it is growing increasingly clear that abortion is a key element of the depopulation agenda. Planned Parenthood, in particular, has a dark history rooted in genocide and eugenics. The organization is hardly the beacon of women’s freedom it pretends to be. The notion that abortion equals freedom is just another other lie fed to the masses by the mainstream media, left-wing politicians and their puppet masters. See more coverage of the latest abortion atrocities at Abortions.news.